The holidays are a time to be enjoyed by the entire family, so why not include your furry companions with some pet stockings? There are a number of ways to make your pet a part of the holiday season. 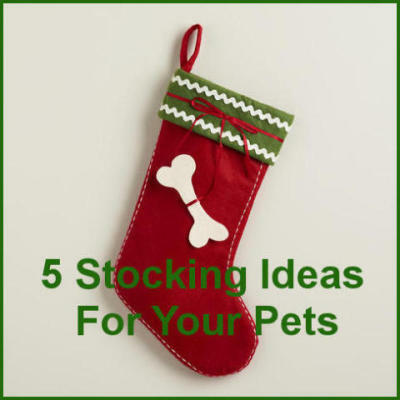 Here are some pet stocking stuffer ideas to get you started. Pets need something to keep themselves entertained, and a good pet toy could do the trick. Dogs, for instance, generally like to play fetch, or tug of war. For this reason, a good ball or a tug rope might be good stocking stuffers. For an ideal toy, try combining a toy with a treat by getting your dog a good Kong like the Kong Classic. Toys are great for cats as well, a good refillable catnip toy or a toy mouse could make a good stocking stuffer. Even smaller animals such as birds or rodents could benefit from a good toy stocking stuffer to include them in the festivities. For a great list of recommended toys, take a look at 19+ Best Interactive Pet Gift Ideas. Catnip has quite a few benefits, both for humans and cats, including insect control, behavior control, and ample entertainment for the cat. Catnip is also great to stuff in certain toys for an extra special toy. Catnip can be bought in seed form, as a plant, or dried. If you're interested in a catnip stocking stuffer, the best option might be some good quality catnip seeds like the 200 Seeds Catnip Herb. Read more about catnip in 4 Surprising Uses for Catnip. During the winter season it can get very cold, even for your dog. For certain breeds of dogs, a fur coat just isn't enough. For this reason, a good warm sweater or winter coat for your dog like the Kakadu Pet Explorer could be the perfect stocking stuffer. There are also cute clothes available for cats, and smaller animals which could fit perfectly in a pet stocking. Perhaps some warm booties and hoodies would be perfect? There are numerous grooming tools available for pets. For birds, a spray bottle would be a good stocking stuffer. Hamsters and various other rodents need wood to chew on as well. Dogs and cats can benefit from bathing items like bathing wipes or pet shampoo. There's also the option of filling a stocking with dental products, or a good dog or cat brush, depending on the animal. Some great grooming tools are listed in 8 Money Saving Grooming Tools. With these stocking stuffers your pet can feel like he's a part of the festivities. Remember safe holiday practices, and have fun! For presents under the tress, I recommend many of the gift ideas listed in 10 Best Products for Your Dog Sold On Amazon and 10 Best Products for Your Cat Sold On Amazon. 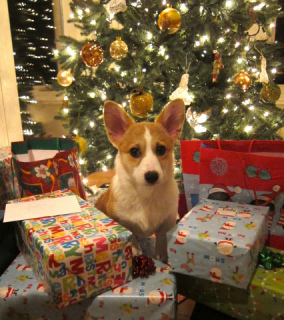 After all the shopping iis over, try: 5 Fun Dog Activities For The Holidays. Have a wonderful holidays and remember to just enjoy the simple little things that make life a good one. 'Hoki Found' Makes A Silicone Pet Food Mat That Can't Be Beat!